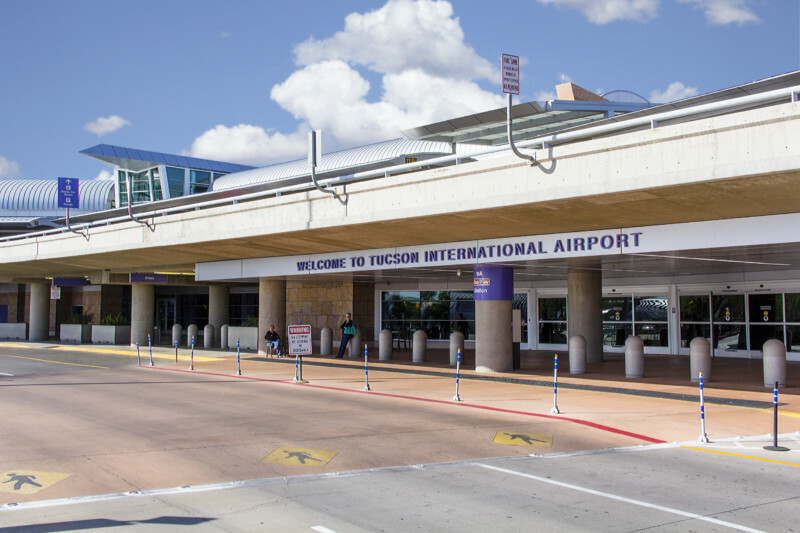 A major project for airfield safety enhancements at Tucson International Airport and a program to upgrade information display systems in the terminal are two large projects totaling more than $7.8 million included in the 2019 fiscal year budget approved by the Tucson Airport Authority Board of Directors Wednesday (September 12, 2018). The approved operating revenue budget of almost $43.2 million takes effect October 1, 2018, and represents a 8.7% increase over the previous fiscal year’s budget. That is based on the expectation of continued growth in airline passenger traffic at TUS as well as the TAA’s success in maximizing non-airline revenue from airport properties and recent enhancements to food and retail concessions in the terminal. Over the past year and continuing with the new budget, the TAA has been catching up on major maintenance and capital projects that had been deferred since 2008 to keep costs down for airlines, Gruentzel said. The airfield safety enhancements are part of a $180 million project to realign and relocate taxiways and upgrade a runway parallel to TUS’ main runway for commercial service. The project, which will take about five years to complete, will upgrade the airport’s airfield to the Federal Aviation Administration’s latest standards. The TAA budgeted to spend $5.2 million for next fiscal year on this project, of a total of $65.9 million. The remainder will come from federal and state grants. The other large capital project will update the terminal’s dated information display and paging systems to allow the airlines to more accurately display information such as where baggage will arrive from flights. The $2.7 million for that project will come from the TAA. As part of the budget, the airline landing fee will increase to $1.32 per thousand pound unit, from $1.04. But Gruentzel noted that a result of airline projections, the average cost per enplaned passenger, which includes other airport costs, will be reduced 8% in the new budget to $7.41 from $8.05 in the fiscal 2018 budget. The cost per enplanement in fiscal year 2017 was $7.93. Among major revenue sources, the TAA budgeted a 6.9%, or nearly $1.4 million, increase in concession revenue from parking, food and beverage and retail, largely as a result of increased passenger numbers. TAA receives no local tax dollars. Its operations are funded entirely by airport users through revenues from concessions, parking rents, land leases and airline landing fees. Capital improvements, such as airfield and terminal construction projects, are funded through a combination of federal and state grants and TAA revenues and federally-authorized passenger facility charges.